For those at CIC, here’s the first of several follow-up or concurrent posts for the aspects where I’ll be involved. 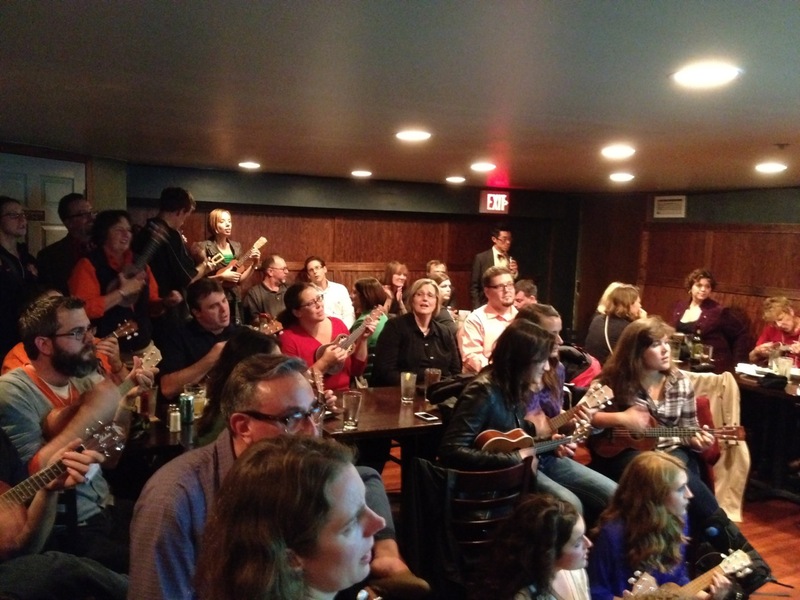 Much more can be found on our blog: http://homebrewukuleleunion.wordpress.com or through the co-authored GMT column (with Julianne Evoy). 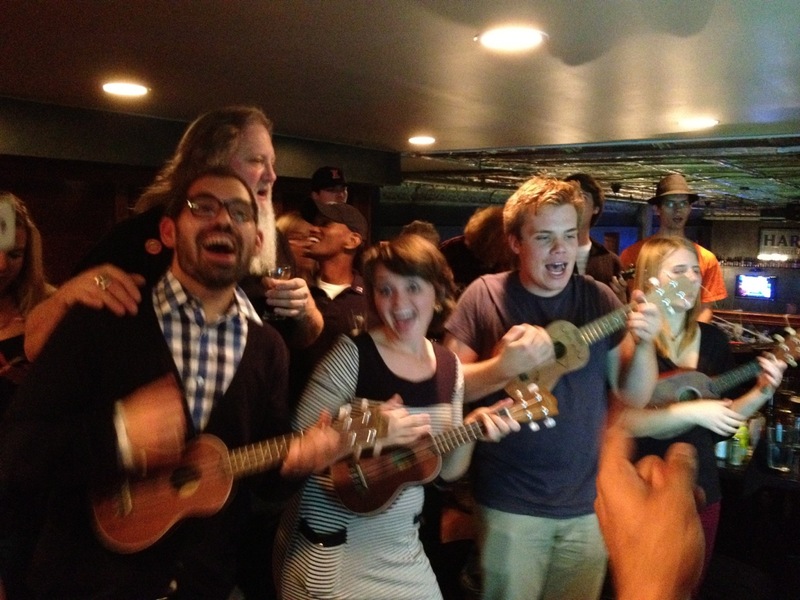 The Homebrew Ukulele Union is a group that played at Crane Alley. The group was founded in 2008. Despite growing out of the class MUS 438: Designing Musical Experience, we also include members of the community, former students, and total strangers. We’re largely influenced by the work of my colleague in ethnomusicology, Tom Turino, to work as within the participatory field. Everyone who participates is part of the group. We draw on shape note pedagogy, the DIY punk ethos, and build our instruments as a focal practice, following the work of philosopher Albert Borgmann. 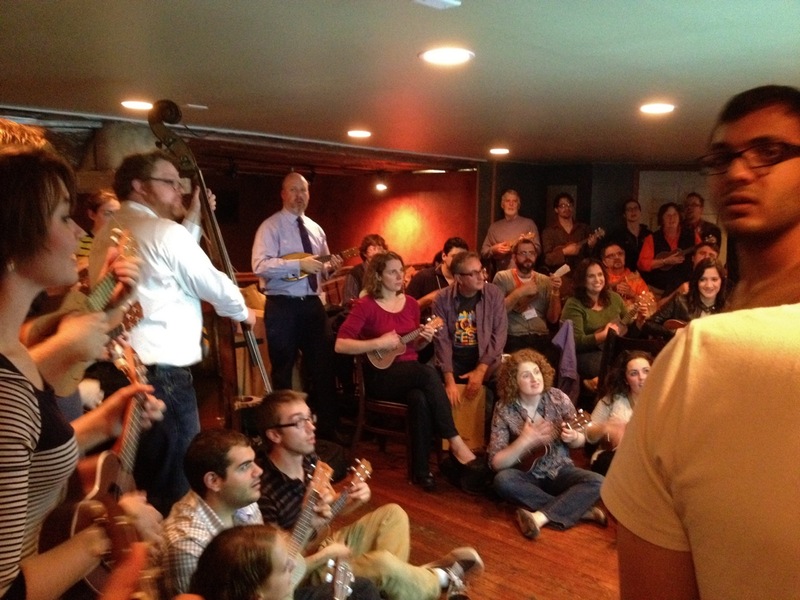 You might also enjoy a dissertation where mass-produced music is reclaimed as participatory (through the Beatles class at the Old Town School in Chicago) by Tanya Lee. Music education: media, technology, and participatory music. 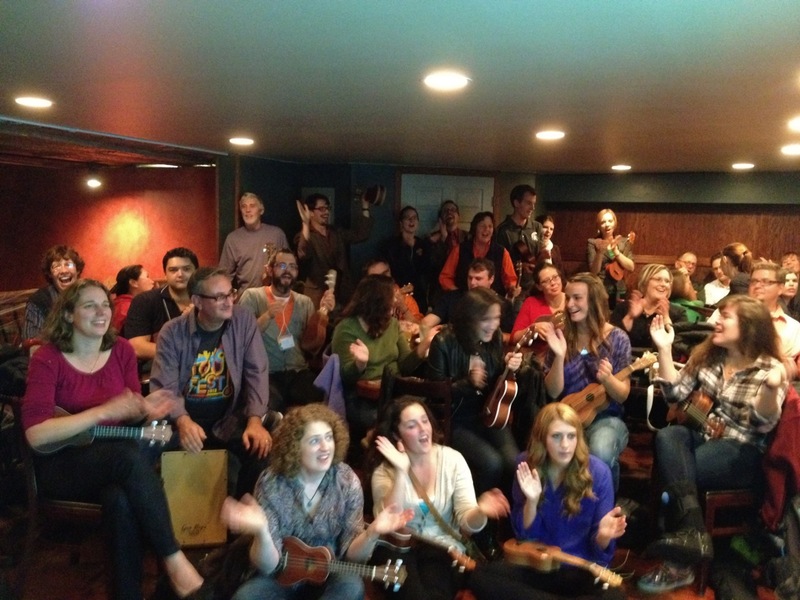 This entry was posted in Uncategorized and tagged Homebrew Ukulele Union, participatory music, participatory music education. Bookmark the permalink.